-There are some artists who go beyond the word legend. Prince. Michael Jackson. Marvin Gaye. Stevie Wonder. These are musical gods. Babyface fits right into that class. As a producer and songwriter, there has never been anyone as good, nor will there ever be. The most prolific songwriter in music history and one of the more underrated artists of all time. 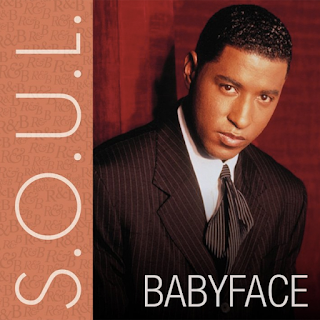 What makes Babyface so great? His ability to craft a song that touches your emotion, captivates your ear, and aligns every word in perfect harmony. It's a rare gift that not many people have in music. It's special. The Indiana native burst onto the scene with the group The Deele, and never looked back. His musical ability is second to none, and my favorite moment from The Deele would have to be their hit song "Two Occasions", which isn't necessarily their best song, but it's so infectious that it's undeniable. 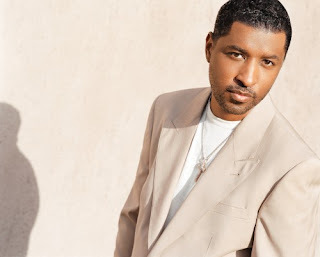 "Dry Your Eyes" is another great song that I enjoy from the Deele, and while we've talked about Babyface the artist in the past on the site, I wanted to direct most of my introduction to talk about Babyface the songwriter. Not just for himself, but in general. 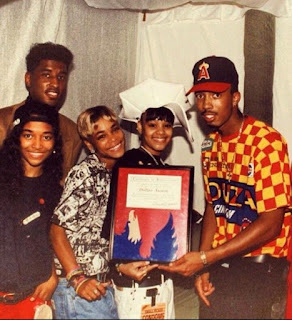 He's responsible for writing a majority of our favorite R&B songs in the 90's, yet another testament to his greatness. The list of no. 1 hits and top 40 radio tracks are endless truly. His work with Tevin Campbell is his most underrated to me honestly. Despite what we know about Tevin, Babyface crafted flawless songs like "Can We Talk", "I'm Ready", "Always In My Heart" and gave Tevin his biggest hits. However, in my personal opinion, his best work as a songwriter and producer was helping to shape one of the greatest albums of the 80's, Bobby Brown's Don't Be Cruel. From the classic "Every Little Step" to the smooth "Rock Witcha", to my personal favorite "Roni", this was undoubtedly some of his greatest work. This was the album that put Bobby Brown in a whole new atmosphere and he can thank Babyface and L.A. Reid for that. He helped budding stars like Karyn White sound even better than they had before, and proceeded to give another New Edition member, Johnny Gill, his greatest single to date with "My, My, My". As if that's not enough to prove his legacy as a songwriter, his work with Boyz II Men, probably still has him getting songwriting checks to this very day. Three of their biggest hits, "I'll Make Love To You", "End of the Road", and "Water Runs Dry", all came from the pen of Kenneth Edmonds. What tends to shock me the most about Babyface I think is his ability to write songs for women. It's always been said that men can truly write great songs for women and make them catchy and relatable, but there is absolutely no one who did this quite like Babyface. 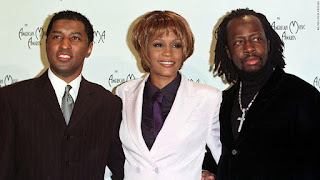 His work with Mariah Carey was strong, as is his work with Celine Dion and Mary J. Blige, and even as recently as Beyonce (Best Thing I Never Had) and Ariana Grande, but his best work writing for females came in the form of a 90's R&B queen trinity: Whitney Houston, TLC, and most of all, Toni Braxton. After giving Whitney classics like "Exhale (Shoop Shoop)" and "I'm Your Baby Tonight", he would give TLC amazing gems such as "Red Light Special", "Baby-Baby-Baby", and "Diggin On You". His knack for crafting smooth gems for the ladies of 90's R&B showcased Babyface in his prime, but nothing could compare to the work he did for Toni Braxton. From "Love Shoulda Brought You Home" to "You're Makin Me High" to "You Mean The World To Me" to "Another Sad Love Song" to "Let It Flow" to "Breathe Again", Babyface gave Toni nothing but hits and truly shaped her career. In addition to these great hits, Babyface is an amazing artist himself, which tends to be slept on. With a string of successful albums, hits, and beautiful production, Babyface etched his legacy years ago. Now, the team has a few words on the greatest songwriter of all time and one of the most underrated R&B artists ever. Babyface. One of a few artists (the list includes Prince and MJ) who I can listen to ad nauseum and not skip a single track. The man who gave us classic after classic after classic. The man who helped provide us with artists like Toni Braxton. 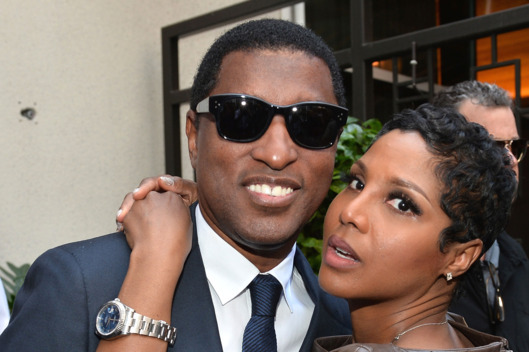 What can we say about Babyface that hasn't already been said. ...actually, screw it. I don't care if it's been said. The man is a genius and an artist who deserves every ounce of props given to him. Turn on the radio. Even in today's market, you're gonna hear someone who's been touched by Babyface's excellence, either directly or indirectly. The point is this: he's one of a kind and the reason why some of your favorite artists and songs exist. Plus, I mean, the man's given us pantywetter themes before Trey Songz put a name to the genre. Kinda graphic, I know...but it's true. As far back as I can remember, I’ve been a fan of Babyface; I think it was in ’93 when “For The Cool In You” dropped. I remember “When Can I See You” was the song that I kept hearing on the radio and that is the track that ultimately led me to investigate what this man was all about. I would learn that Babyface co-founded LaFace which was the biggest R&B label at the time, he was the writer for many of the singers that I already loved, and he had a hand in several other areas of entertainment business. 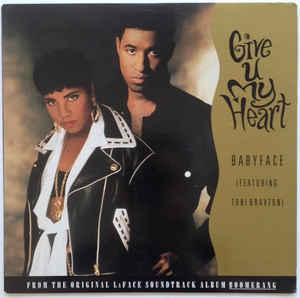 There's no way I can go through all of Babyface's achievements, awards, hits and people he's influenced, so let me draw your attention to his 1996 solo project. This was the album that won me over, as much as I appreciated Babyface's behind the scenes work with other artists, it was his 1996 release of "The Day" that stands out the most to me. He definitely gave the fans everything. This album was entirely self produced, he wrote every song AND it was packed with some of the best features on any R&B album: Mariah Carey, LL Cool J, Stevie Wonder, Eric Clapton... these are some legendary people and they all appear on this 10 track masterpiece. "Every Time I Close My Eyes", "Seven Seas", and of course the title track "The Day" are my absolute favorites, they are heart meltingly sappy and epitomize what Babyface has always been about: conveying genuine heartfelt love and untarnished experiences shared over soft, silky smooth melodies. The man knows exactly who his audience is and speaks to each and every heart. He truly crafted perfection with this one. There is so much to say about someone who has been in this industry for nearly 40 years, who has done everything from writing and singing to owning record labels and being involved in film production. The talent is endless and the wisdom infinite. 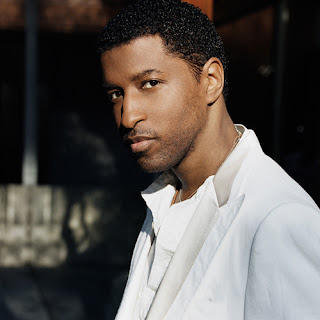 I only focused on one project but Babyface is one of the most influential and multifaceted artists in music. From the early beginnings until his most recent project in 2015, Babyface has proven his consistency and cemented his legacy as a legend. He will never be matched and will forever be synonymous with R&B. -I know besides his songwriting and artistry, a lot of people recognize the strength of LaFace Records and what they brought to the table for R&B and subsequently hip hop (Outkast). 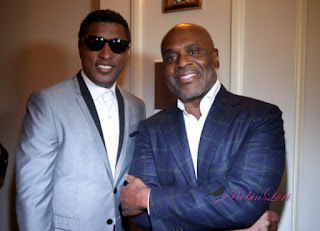 It was something special and with Babyface helping discover along with L.A. Reid some legendary artists like Toni Braxton, Usher, and many others, it's yet another testament to what this man has done. Before I close out the article, I have to mention two of my absolute favorite songs that don't get mentioned very often that Babyface wrote. The sensual "Last Night" by AZ Yet and "Ready Or Not" by his family After 7 are two of my personal favorite songs of all time, and the fact that Babyface wrote them makes it even better. You can hear his sound and cadence within these songs, yet they both sound distinctly different. That truly is the mark of a genius. What is the legacy of Babyface? Underrated. The greatest songwriter of all time. But most of all, legend.